In the past, I have extolled how healthy coffee is. Although coffee has a bad rep, it does appear to have many health benefits. It has tons of antioxidants and there is scientific evidence to show that it can help to reduce your chances of developing serious illnesses. There has even been some evidence that it promotes longevity. More recently, the topic of mycotoxins have come up - these are dangerous chemicals that are found in coffee. Claims have been made that many coffee brands available today have been contaminated, increasing the risk of ill health and lowering productivity. I am a person who loves coffee so I wanted to ensure that I am not putting myself at risk. I also don't want to pass on advice that could be harmful. As a result, I set about researching mycotoxins to see what the story is. We have all heard of fungi. You get three separate types - molds, mushrooms, and yeasts. For our purposes, we will be looking at the molds - these are found just about everywhere around us. When food goes off and starts to turn green and furry, that is a mold. Mycotoxins are produced when the molds that thrive on food grow. Science has harvested some of these molds for use as medicine, penicillin being the best-known example. There are a lot of different sorts of mold. There are also a number of different sorts when it comes to mycotoxins. When it comes to coffee, Ochratoxin A and Aflatoxin B1 are the most pertinent. Not much is known about Ochratoxin A - it is said to be mildly carcinogenic and could damage the renal system and brain. On the other hand, Aflatoxin B1 has been proved to be carcinogenic and to have some nasty side effects. That said, before you panic, the levels of mycotoxins in foods is closely monitored and controlled. Some 100 countries have regulations in place to monitor the levels of mycotoxins in food. What it boils down to: Mycotoxins are dangerous, natural byproducts of molds. You can find both of them in food crops such as coffee. A third of a sample drawn from Brazilian green coffee beans had small amounts of Ochratoxin A. Almost half of brewed coffees tested - made from beans that are commonly available - had Ochratoxin A in them. Aflatoxins were found when green coffee beans were tested, decaffeinated beans having the most. Merely roasting the beans dramatically decreased the levels present. 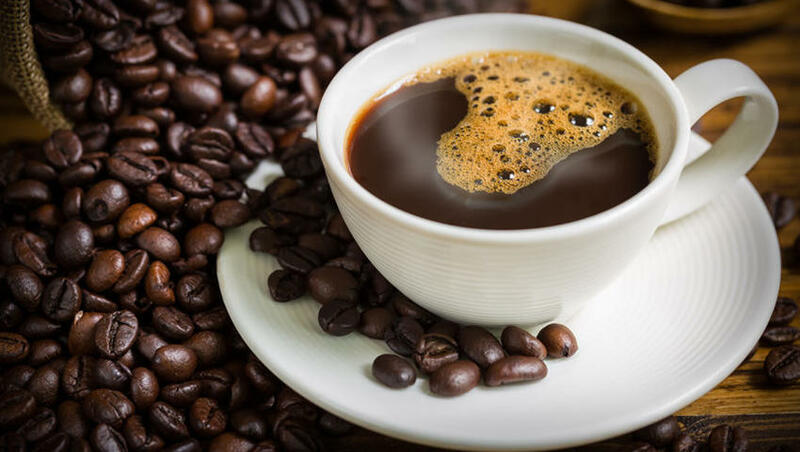 27% of 30 roasted coffees tested were found to have traceable levels of Ochratoxin A. Chili beans, however, came out with much greater amounts. The upshot is that many coffees available today do contain mycotoxins and preparation does not reduce their numbers. Before you go and throw out all your coffee, you need to keep in mind that these are well within the bounds considered safe. While we may not be pleased with the idea that there are toxins in our drinks, we need to remember that this is the natural state of things. There is no way to completely avoid them. 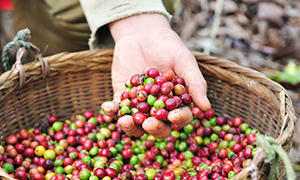 If you are looking for another way to get a shot of antioxidants, consider green coffee. Read more about this supplement to see if this product is for you. One study has proven that just about any sort of food may be at risk of contamination and that everyone will, at one time or another, have Ochratoxin A in their system. Even mother's breast milk does not escape. These toxins can also occur in other forms of food and drink. Dried fruit, grains, even dark chocolate might all have traceable amounts in them. The fact is that, considering that we are constantly exposed to these toxins, it is pointless to worry about it. We are after all talking about miniscule amounts here. No one has yet come up with concrete evidence that small amounts of these toxins are dangerous. The "truth" that coffee is made bitter by these mycotoxins is also nonsense. It is the tannin content in the coffee that affects how bitter it is. While you should try and get good quality coffee - the premium you pay for beans free from mycotoxins is likely not worth the money. What it boils down to: Low levels of these toxins have been found in coffee but these levels are well within safe levels and too small to really do harm. The fact that there are molds and toxins in food is not new. In fact, it is one that coffee plantations have been battling for a long time now, and they are winning. Wet processing is one of the best ways to remove a large proportion of mold as well as many of the mycotoxins. By roasting the coffee beans, the mold is destroyed. Roasting can also significantly decrease the amount of Ochratoxin A present. The quality of a coffee is regulated by use of a strict system of grading. If toxins or mold are present, the rating suffers. Should the levels be too high, the whole crop will be destroyed. That does not mean that coffee with a low rating is dangerous - the amounts of mycotoxins permitted by law are so low that you will not come to harm. In Spain it was found that overall exposure to Ochratoxin A was a measly 3% of what the EFSA declared safe. A separate study in Europe found that consuming even 4 cups daily only amounted to levels that were 2% of what is deemed to be safe. So it is very difficult to consume harmful amounts. Coffee without the caffeine does have more mycotoxins because there is no caffeine to stunt the mold's growth. Ground coffee has lower levels than instant coffee. Still, the levels overall are way too small to be of significance. What it boils down to: There is nothing new about mycotoxins and coffee growers take steps to reduce levels. Roasting and wet processing help to keep the levels way down. Have you consumed anything today? Are you breathing as you have all your life? If so, then yes, you have ingested a bunch of toxins, even if you have been nowhere near coffee. They are all over the place. But we are talking about miniscule amounts here - nowhere near enough to cause problems. Some toxic intake may even be beneficial, helping to prime our immune system. What we should focus on is that the science proves that those who drink coffee are generally healthier - and the test subjects drank various kinds of coffee. The upshot is that, as long as you are not allergic or sensitive to these toxins, you can discount them as a threat from your coffee. If you are still a bit wary, stick to freshly ground, high quality beans and be sure not to overstock your shelves. Then also look at cutting back on oats, peanut butter, wine, nuts, beer, raisins, etc. as well. Much easier to just not let it worry you, isn't it? If you really are concerned about being healthy, why not get the real toxic elements out of your diet - sugar, vegetable-based oils, gluten grains and trans fats. The evidence clearly indicates that the benefits you get from drinking coffee are greater than any issues the mycotoxins might cause. Stick to healthy coffee - use real cream and steer clear of sugar or sweeteners and you'll be fine.